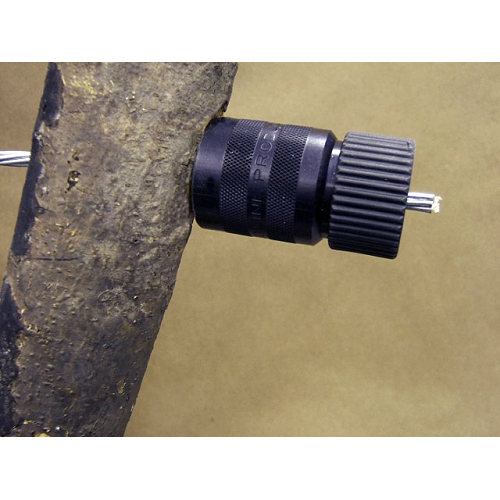 Wedge-Grip Dead-ends are designed to simplify the costly, labor intensive job of cabling trees. 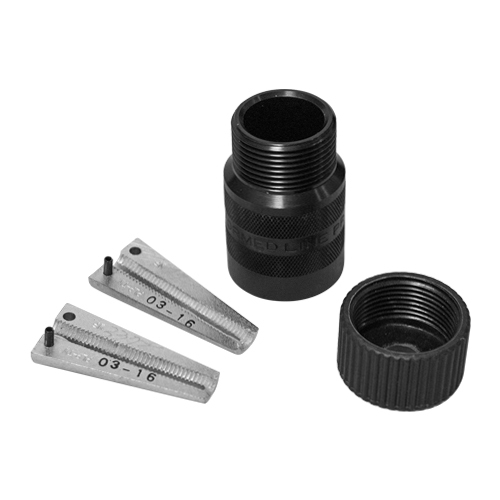 The simple housing and wedge assembly terminates EHS and Common Grade strand by simply sliding over it, and with a turn of the cap, the strand is held in place. Wedge-Grip Dead-ends eliminate the need to twist strand or alter its integrity in any way. The result is a reliable cable termination that maintains 100% of the published rated Breaking Strength of the strand, and takes only seconds to apply.